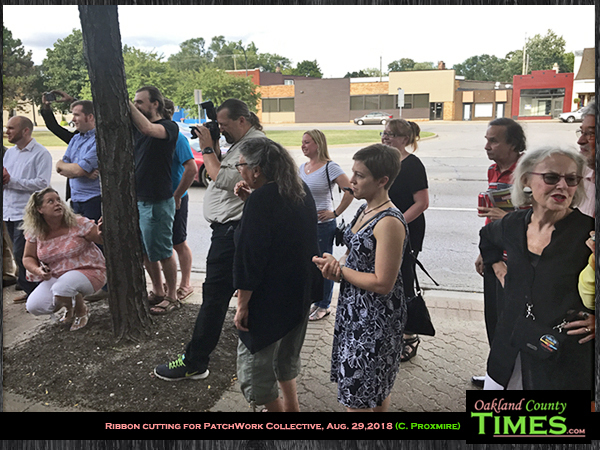 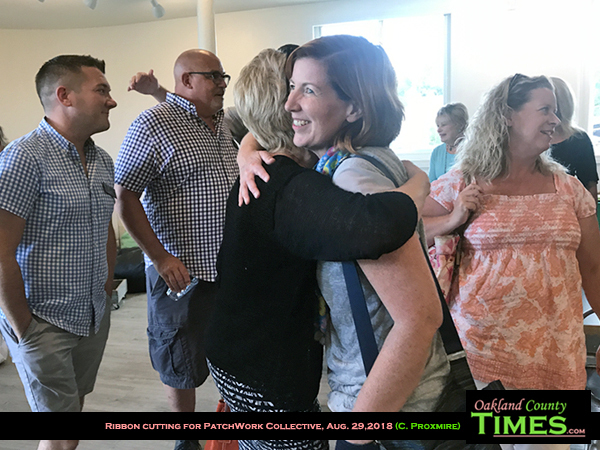 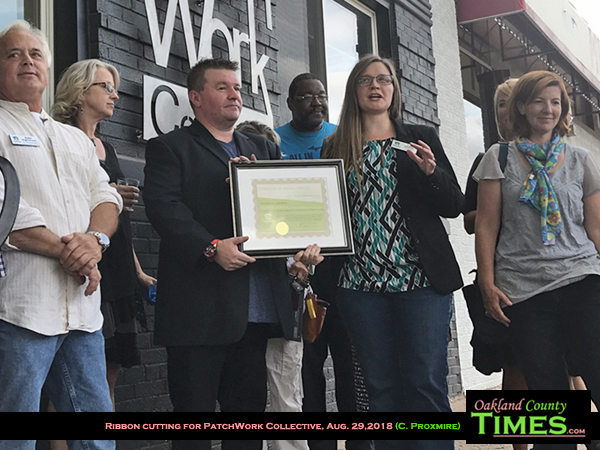 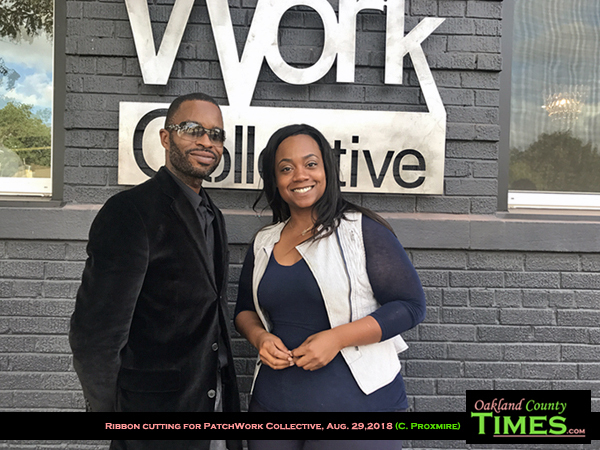 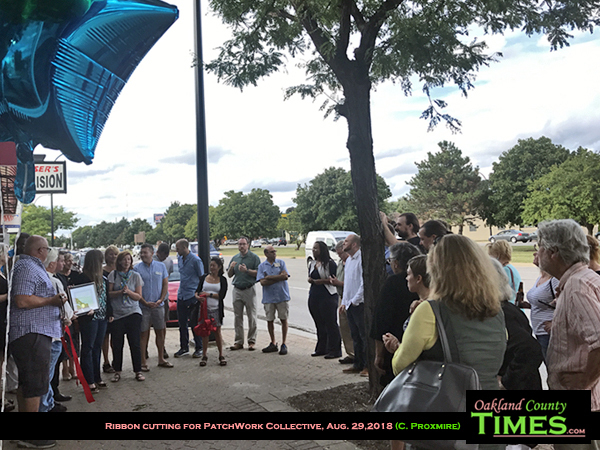 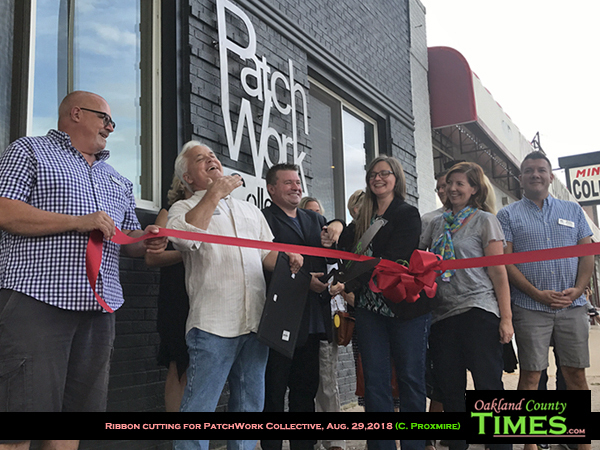 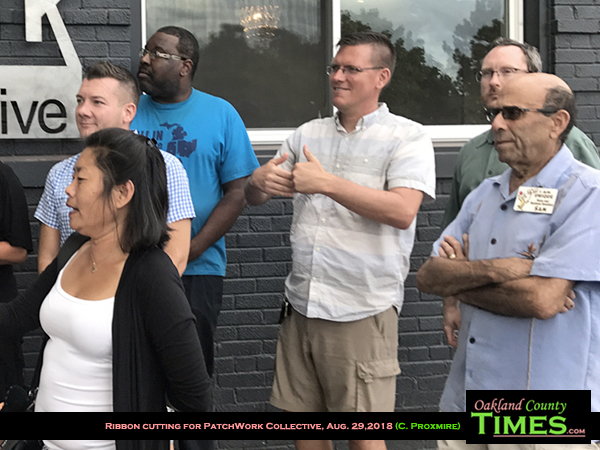 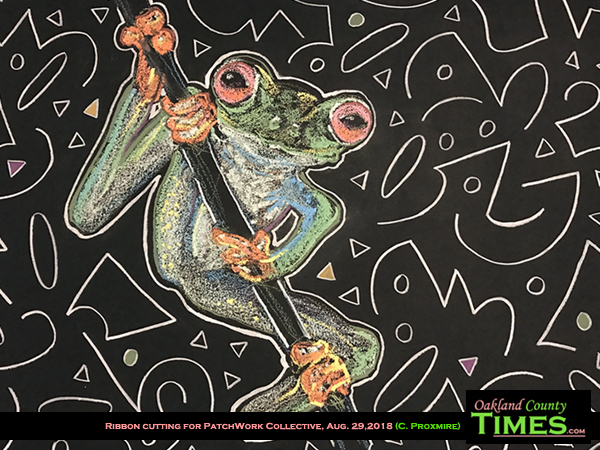 Ferndale, MI- PatchWork collective creators Benjamin Long and Lisa Schmidt were joined by members of the local business community for a grand opening celebration and ribbon cutting on Aug. 29. 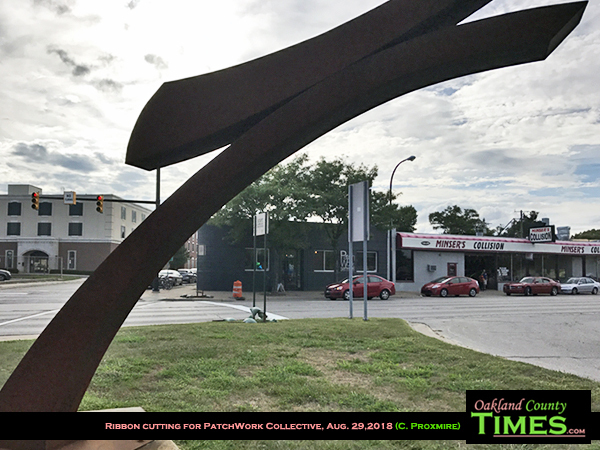 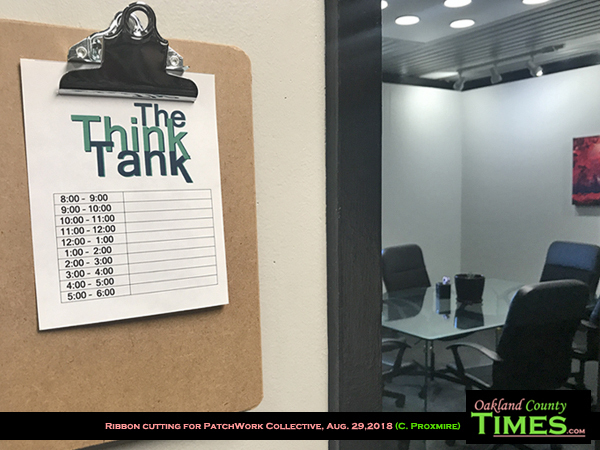 The membership-based co-working space is located at 22007 Woodward Ave. in Ferndale at the corner of Marshall, with 24 hour key-card access. 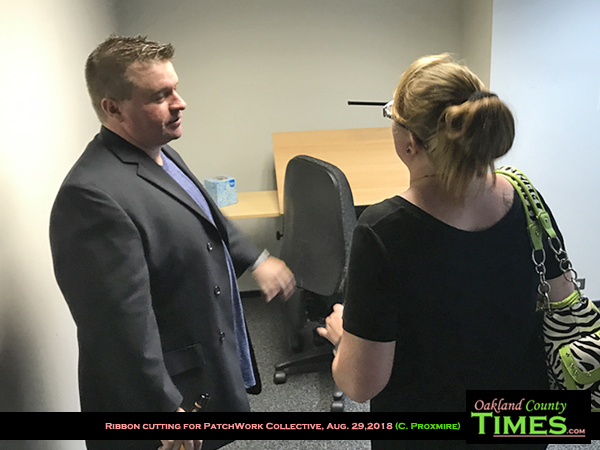 Inside are several rooms and a large space with tables and different types of seating, so members can find the level of privacy that is right for them. 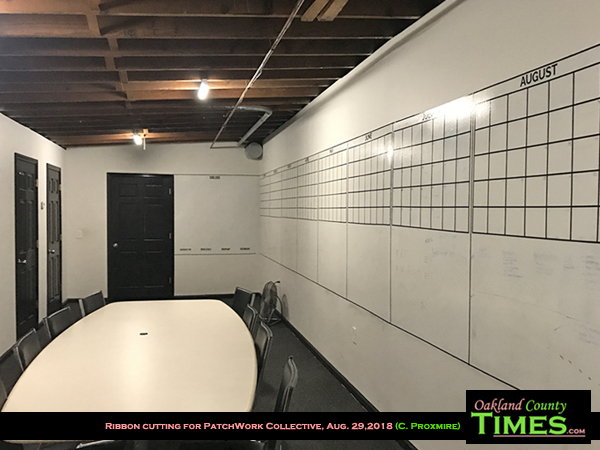 There are also offices for rent. 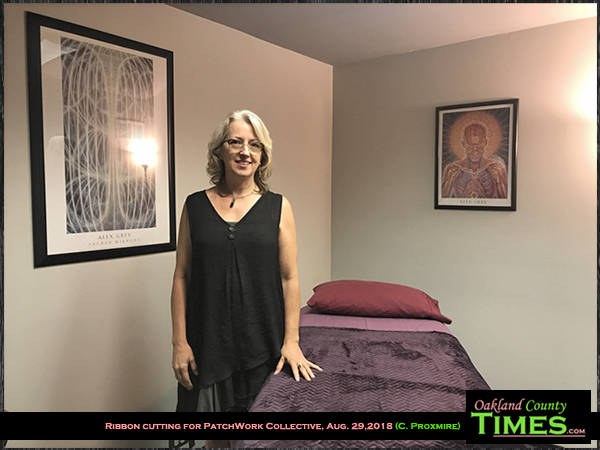 Darlene Berger is one of the first members, keeping an office space for her acupuncture business. 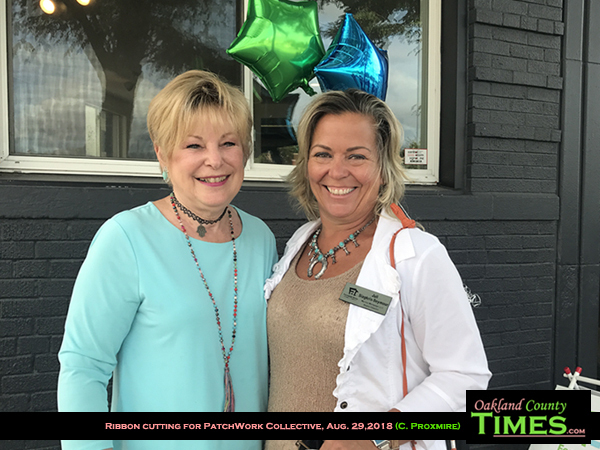 Proprietors Schmidt and Long also have their law offices there. 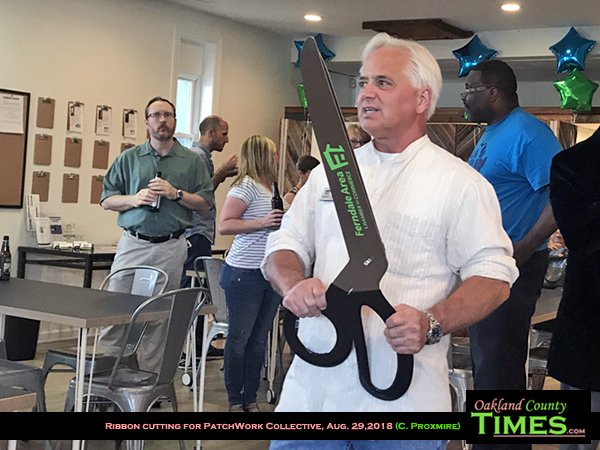 The ribbon-cutting included a welcome by Ferndale Area Chamber of Commerce Board President Dale Vigliarolo, and Ferndale City Councilperson Melanie Piana. 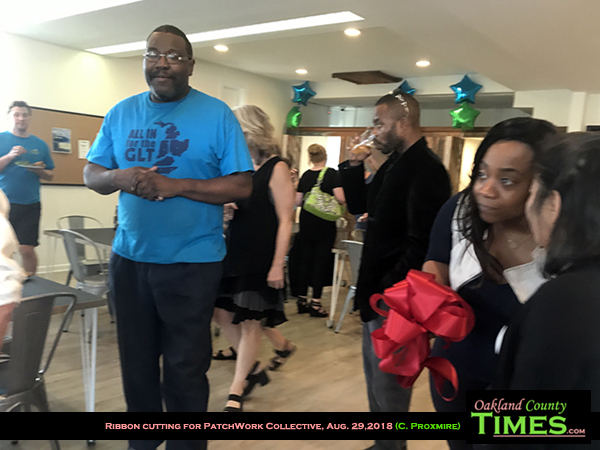 Guests included members of the local business community and potential members of the collective.